2018 Durango Sub Replacement,need clarification! Thread: 2018 Durango Sub Replacement,need clarification! Hello all! Im new to the forum and to Dodge Durangos. I just bought a brand new Durango GT AWD 2018 and while Im somewhat happy with the audio system there is clearly much room for improvement. In the past Ive had just about every vehicle sound system upgraded so this comes as no surprise that I wanna upgrade this one lol. The first thing Id like to do is replace the sub with an aftermarket setup. Door speakers will come down the road but right now I NEED some mo bass in my Durango. I have some experience installing radios and door speakers,EQing my amps and whatnot but have never ran wires to hookup a sub,so I will be taking my Durango to a audio store to get this job completed. What I would like to know is if I have the right equipment (keeping in mind space requirements) for the install. Id also like to have piece of mind that the audio store did everything right and doesnt cut corners or cheap out in anyway. SO any tips on what to look for after I get my vehicle back or anything I should notify the installers of that I should have done a certain way in the Durango. So please share! In your opinions what would sound better in the stock speaker location? Ported 8" or Sealed 10"? Anything else besides these parts and the wiring I should add? Anything I should make sure the installers should do (wiring paths/locations ect)? Thanks! The AmpPro you can get online for about $260 and the harness for about $35. As for the loaded enclosures, it just depends. Are you actually trying to place the box in the location that the factory one is under the rear floor or just simply in that area in the rear above where the factory sub is located? With the 8" you may get some more output around where it is tuned to but the 10" can be a bit cleaner sounding, up to your ears. Thanks for the reply! Im not fully commited with the LC6i yet. I figured since Ill be keeping my durango for the next 10 years I dont mind how its installed so much,as long as its clean. My plan is to eventually add new door speakers and my 4 channel amp so the LC6i would be available and ready to handle everything. I dont know much about the PAC AmpPro. Would it work the same? 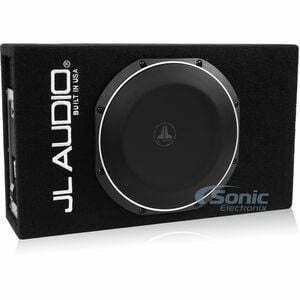 Will i be able to add another amp to run the door speakers down the road? And yes I would like to replace the stock sub and enclosure and put this in its place under the floor. I was hoping someone here would know if the JL sub/box would fit with no mods. It would be great if anyone had measurments of the stock sub or the enclosure space. FYI I have the beats stock system in my DD. Certainly! If you have not already done so I would suggest that you look at Lanson's and MoparMike's builds. They will provide you with a ton of information as well as measurements, both physical and auditory. The AmpPro connects with a T harness behind the screen. It passes all information on to the factory amp, but then provides you with 5V(or 4, selective) front/rear/sub RCA connections. You can also purchase a toslink addon to the piece if you have equipment that would make use of it. This way you can add any amps/EQs that you want. It also allows you to change to a small degree the factory 3 band EQ. As for the JL boxes, I do not know if they would hit in the factory spot. You will have to look at the dimensions that Lanson/Mike have in their threads and judge. Though you are then going to put the false floor back on top of it cutting your output. My personal plan was to put my amps where the sub is and just place the box on top of the false floor. I have also in the past thought about seeing if the factory sub can just be flipped over somehow to help push more air into the cab instead of down into the chassis. I have Beats as well and about the only thing that lets you know you have a sub in there is 20-35Hz, its pathetic. Thanks again! Plenty of great info in those threads,excellent builds too. This sounds like something I could tackle myself and save some monies and put it towards more equipment. As for the new sub and output in the stock area,would it be a huge drop? Would it be worth it to drill some miniature holes in the stock cover piece? Could make some kind of neat design or something out of it. Also a couple others questions,how are people running the battery cable without it being to noticeable coming out from under the battery compartment cover? Cover would have to stay propped open some no? 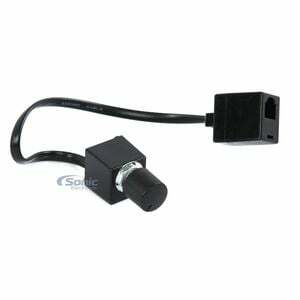 Whats the most convenient path for the RCAs from head unit to the back sub location? And lastly where would be a good location to place the Amp Pro for a convenient spot to remove it for updates ect. 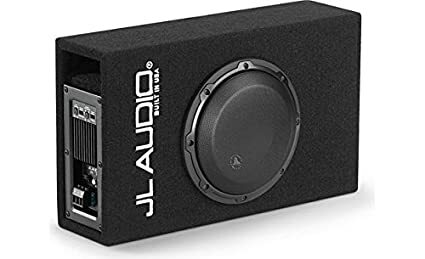 Sub placement and holes: If you are able to actually fit one of those enclosures where the factory one is, sub facing up, I would not bother messing with the cover unless you have a spare one. Don't think it would make THAT much of a difference. Wires: You should be able to tell from Lanson and Mike's builds where to put them, but the gist is the power can go under the carpet along the passenger side easily and can drop into the cargo area. RCAs should be able to come down the center hump. AmpPro: It will sit behind the radio/lower dash. The T-harness isn't very long as you can see on the PAC page. The connection for updating is simply a usb cable so just leave one connected and wrap it up in easy reach so if/when you need to make changes/update it just take a laptop into the truck. Hey thanks for the input. I finally got all the pieces I need minus the amp wiring kit and Im readdy to go. Still debating if I should install everything myself or take it in,a lil bit nervous about taking apart my new ride. Does anyone have pics or a link on how to revome the dash radio panel? I imagine there are just clips holding it in but Id like to make sure where to pry it,in peticular the bottom of the trim. Thanks. Were you able to spend some time on the truck Furyan or decide to take it to a shop? I was finally able to get some funds together and got the parts to get my setup going here in the next few weeks. I will be likely going back to Lanson and MoparMikes installs to remind myself of some of the tips/hurdles and will provide feedback if anyone has questions. Hey Gaiden sorry its been awhile. I still havent gotten my sub installed as life has gotten in the way,however I found out a guy i work with is very skilled in various installs so Ima tackle it with him once i get the chance. I will try and get progress pics during it. How is your install going? Sub Woofer Blown in my 2018??? WTF!!! How far should the sub box be from the back window approx.? ?